The principles of software engineering are explained. Software engineering is the part of industrial developmental and designing .it may be concerned the productive software and obtained the economically efficiently work process of machines it implemented the approaches of scientific and computer applications .it is the application of software and maintaining the disciplined and operational work it evaluated the computer programming machines and also examined the phenomenon of the recommended work and practices it evaluated the project management systems. It evaluates the feedback of models and also maintained the theoretical environment. Principles of software engineering have a wide scope, as it states the requirements for the system software that can be functional requirement, non-functional requirements or both the requirements. For the development process requirement engineering is first stage. It minimizes the efforts and time of software developers. The V and V model i.e. verification and validation methods are used to analyse that are we building the right system. Problem statement can be defined through this, and the statement of problem can be implemented to analyse or learn the solution for the problem and to maintain the system properly (Nikola & Milanovic, 2011). 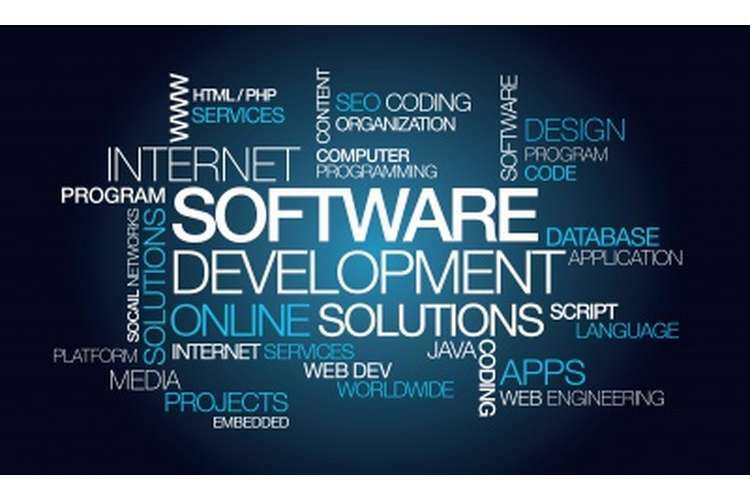 Definition- software requirement is a conceptual explanation of services, which should be provided by the system and the control measures for operating the system. Requirement engineering can be explained as a process in which requirements are defined, explained, documented and then maintained. Requirement engineering is the first stage for the process of development.The software requirement specification which is also known as SRS helps in saving the time and minimizes the efforts of the software developers which they apply in attaining the set goals and objectives. It also decreases the cost of development. In the vast variety of real – world circumstances, SRS elucidates that how the interaction of application, human users, other programs and hardware system will take place. Evaluation of variables like- responding time, footprint, profitability, operating speed, maintainability, network security measures and evaluation of unfavourable events are also done. It is assume that requirement engineering being in continuity for the lifetime of system.The major issues of defining the requirements are- confusion in requirements, amalgamation of requirements and less transparency. One – on – one interview: - It is an open minded technique in which the requirement is collected through the clients. Group Interview: - In this technique requirement collection is done through conducting group interview which require more than one person. This technique of requirement collection demands more formality to gather the information. Facilitated Sessions: - This technique of requirement collection demands for the group in a faster manner. It facilitates five or more groups together for a specific purpose. Joint application development: - In this technique all the participant stay as a team and complete the sets of all documents which are required. Questionnaire: - Requirement collection from questionnaire method is informal in nature. When the user has to collect more information than this technique is used to collect the information from hundreds or thousands of people. Prototyping: - It is a modern form for requirement collection. It can also be used to build the primary version. Use cases: - It explains to separate the work processes and it also involves the perspectives of users. Following People around: - This technique collects the requirement in current processes and performs the actual work processes for current work. Request for proposals: - This technique demands for the capabilities of own for satisfying the needs of clients. Brainstorming: - Through brainstorming, new ideas are generated and it also enhances the creativity for the individuals to agree the optimum solution for the used in the primary requirements. The best available technology can be analysed through this. It assesses the overall performance and better security levels. Through functional requirement it becomes easy to select the task which is simple. The accounting information is required in it, through which the project`s progress can be easily measured. It analyses the roadmap and project`s transactions which are implemented for measuring the project are also checked by it. It frames overall design and through this cost can be analysed, it also informs about the budget and time restraint. Cost of control can be evaluated through it. Evaluation of influence of cost control can be done. One of the main objectives of functional requirement is that it easily differentiates the link- what is needed and what is created. Through functional requirement errors can be reduced. As the software production creates framework and further plans for future, for the product. This requires collection of vast information that minimizes the error. It demands for the rates of transactions and analyse the resources of benchmarking and transactions. It involves the information and system which creates the basic elements. The basic information of users which is required for the projects and target is discussed through non-functional requirement. Non-functional requirement demands for accurate and précised data. It also requires the changes for data transactions in software. Non-functional requirement can be demanded as for different criteria. It specifies the measures to express the mean time. It specifies the impact of software failure so that further marketing strategy can be protected. It measures the variety of efforts, time management and skills to break into system. For operating the system it is required to learn time and similar matrices. The legal objective of non-functional requirement is that- it includes the information, rights and technologies of the system property. The functional requirements operates the criteria of the system software it interact with the users and multiple system it evaluated the services and details of technical uses and non-functional requirements system examined the input and output of the using section the types of non-functional requirements are availability and storage capacity it examined the implementation of basic details it suggest the ideas and views of the task it specified the clearly functional requirements and describe the systems of output. The business rules of functional requirement are database and the reason of the rules are fluctuated. The currency of one value are used dollar and the wordings would supportive and the requirements have to be included the currency conversations .it required the technical specifications functional requirements interact with the external requirements .non-functional requirements qualities are reliable and accurate and it is important for customer services and also analysed the productivity of the product . The requirements of non-functional are objective .it required the purpose of list for elaborate the customer expectations. Thetask of validation text is subjective and also examined the contract of the current validation test. The software product is important for the users. It also checks the software system and validation testing. And it specifying the mobile application software .it required the elements of hardware and software (Adams, 2015). It recommended the rules of Microsoft globalization. Functional requirements described the automated and manual validation testing process it measured the speed of tracking system. Validation and Verification methods also termed as V and V methods are the independent variables use to check the requirements and specification of the system, product and services. Is the right system built by us? Does the problem assertion exactly hold the main problem? Did the wants of stakeholders accountable by us? Has the spec met by our design? Has the spec been met by our implementation process? Does the delivered system actually do as what we need to be done by it? The requirement models are consistent with one and other model or not? Machine domain- it includes computer and programs. Application domain- it includes domain properties, requirements and specification. Domain properties include the things that are in application domain and which are anyways true. Requirements can be explained as the things in application domain which we wish for be true. Specification can be defined as an explanation of the program`s behaviour which must be possessed to meet the requirement. The satisfaction of specification through running program on a specific computer. The satisfaction of requirements by the specification given in properties of a domain. Do the requirements which are important have discovered? Do the relevant properties of domain have discovered? Requirement R – at the time of moving aircraft on the runway, then only reverse thrust should enabled. Wheel pulses are on only if the wheels are turning. Turning of wheels only if aircraft is moving. Specification – enabling of wheel thrust only if the wheel pulses are on. Does the specification ‘S’ is correctly implemented by ‘P” i.e. flight software program, on ‘C’ i.e. flight computer? Does the specification ‘S’; satisfies ‘R’ in context to the assumptions of ‘D’? Do we have correct assumptions about the domain? Have we missed any assumption? Does the requirements, R is what exactly needed? Have we missed any requirement? Throwaway prototyping- The main purpose of the throwaway prototyping is to learn about the problem and solution of the problem. When the desired knowledge is attained then throwaway prototyping can be discarded. It can be used early or later. The approach of throwaway prototyping is quick and horizontal and it builds a single layer, for an e.g. UI. The significance of throwaway prototyping are- it is a medium of learning, the delivery timing is early, it costs less, testing can be done early in this. Throwaway prototyping gets success even when it fails (Pohl, Requirements Engineering Fundamentals: From System, 2011). On other hand, there are some disadvantages of throwaway prototyping which are as follows- when there is change in the requirements then the efforts go waste. Replacement of requirement`s documentation is often done. One of the main disadvantages of this prototyping is that, it raises the expectations of the customers. Evolutionary prototyping- The main purpose of evolutionary prototyping is to learn the problem and solution of the problem. This type of prototyping reduces the risk, through developing the parts rapidly. It has evolutionary and incremental use. The approach of evolutionary prototyping is vertical and develops the layers partially. The approach of design of evolutionary prototyping is extended. The advantages of evolutionary prototyping are- one of the main significant of evolutionary prototyping is that the requirements are not frozen, it is flexible sometimes, is any error is finding then we can return to the last increment. The disadvantages of evolutionary prototyping are- it is more complex, not easy to maintain, unstructured system, it does not guarantees optimal solution for the problem, it lacks direction and control is poor. Inspection is a formal management technique process which is used for the quality improvement of development process. Through inspection the defected data is collected so that the process`s quality can be analysed. This technique is important as through this programming can be done well. Errors can be reduced, productivity can be improved (McGovern, 2005). It reduces the employees’ turnover and estimation, scheduling can be done in better way through this technique.Inspections are important and effective. To identify the defects, code inspections are better in comparison to testing. A spec can be tested through inspections. The advantages of inspection are as follows- it is one of the most reviewed programs that run fine for the first time, it is better in comparison to testing, it reduces the cost of V & V model, it also reduces the errors or debug. The issues can be tracked through the inspection technique. The productivity can also be raised through inspection technique. One of the objectives of inspection technique is to minimize the turnover of employees and to raise the morale of the employee relation. The defects available in the system can be determined through V and V model. This standard creates a framework for the processes of software life cycle. It defines the terminology very well which can be cited by software industries. Firmware`s software fragment is included by the software. This standard provides a process which may be used for improving, explaining and controlling the life cycle processes of software. This standard is applied for system`s appropriation, development, maintenance, software product`s disposal and system`s software fragment; whether they are performed within internal and external environment of the organisation. This standard recommends and provides requirements, which are important for specification of quality requirement for software. This standard applies not only to the acquirers but also for the suppliers. 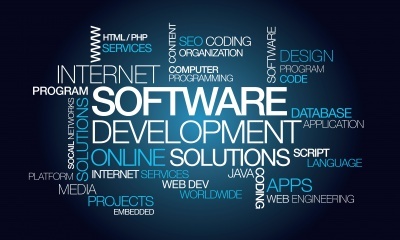 The main focus of this standard is on- quality requirements of software. This ISO standard helps in improving the software`s quality. This improvement is achieved by the recommendations and requirements provided by this standard. Kalloniatis, C. (2012). Security Enhanced Applications for Information Systems. IN TEch. Pohl, K. (2011). Requirements Engineering Fundamentals: From System. Rocky Nook. Pohl, K. (2010). REquirements Engineering:Fundamentals, Priniples, and Techniques. Springer. Wiegers, K. (2013). Software Requirements (3 ed.). Microsoft Press. Adams, K. (2015). Non-functional Requirements in Systems Analysis and Design. springer. Douglas, L. R. (2011). A Case Study of Non-Functional Requirements and Continuous Improvement at a national communicator system contrator. UMI dessertation publishing. McGovern, J. (2005). A Practical Guide to Enterprise Architecture. Professional technical reference. Nikola, & Milanovic. (2011). Non-Functional Properties in Service Oriented Architecture: Requirements models and methods. New york: Information science reference. Wohlin, C., & Aurum, A. (2006). Engineering and Managing Software Requirements. Austrailia: Springer.